Due for release at the upcoming Kapow Comic Con in London on the 19th and 20th May is the first issue of Overload a comic brought to you by Martin Conaghan and The Copydesk. 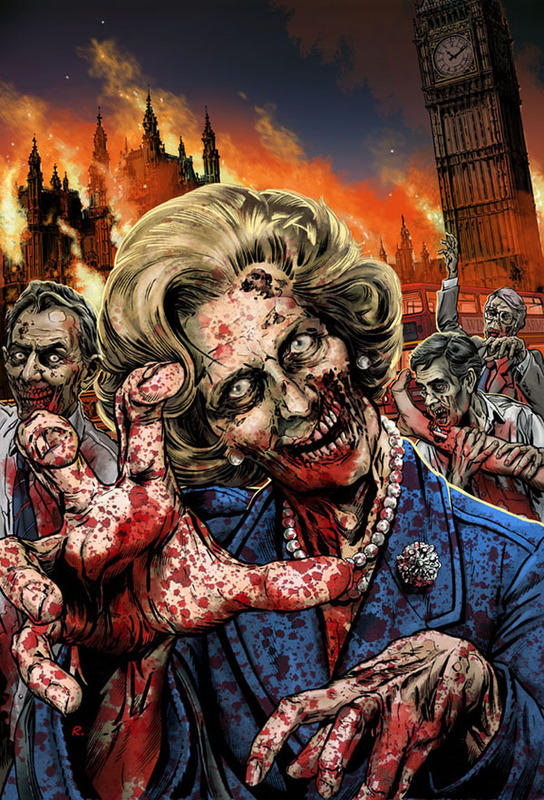 This anthology comic will feature some top talent and I was originally asked to produce art for a strip written by Emma Beeby and Gordon Rennie featuring UK politicians and the zombie apocalypse but other commitments unfortunately got in the way. However, I did find time to produce the cover which highlights this story and hopefully should be a bit of an attention grabber!